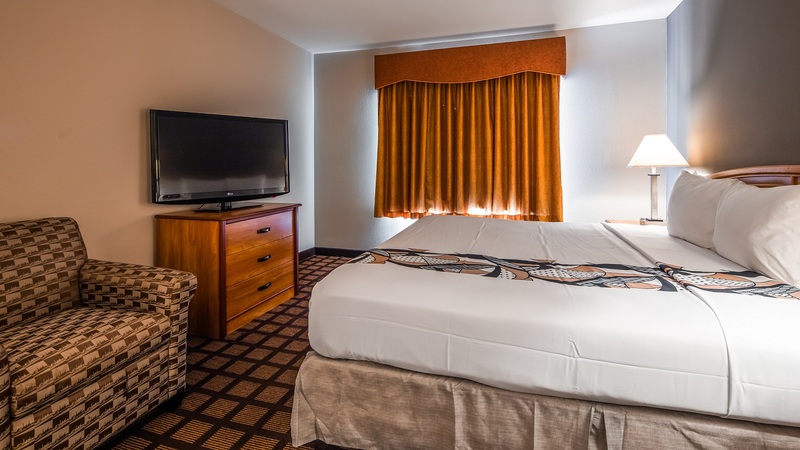 Best Western Inn & Suites Midway’s Standard Double rooms offer you well equipped plush comfort complete with two full-size Queen beds for extra room and comfort. 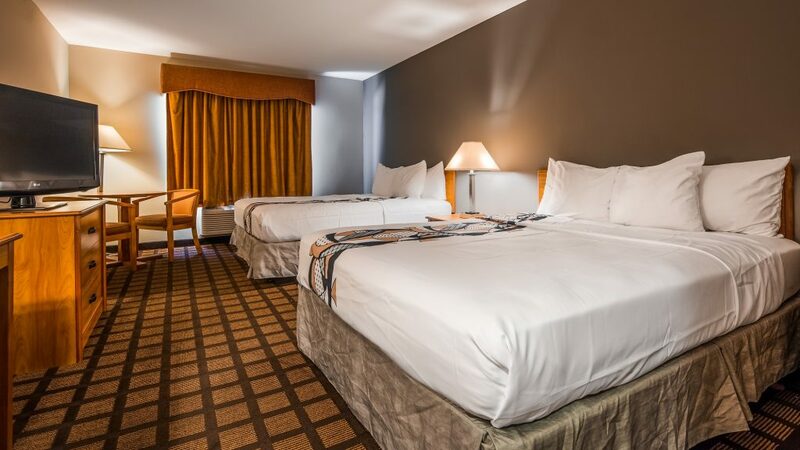 Whether you are checking in following a flight or arrive by car after a long days travel our Queen bed equipped Standard Double rooms offer you and your travel companions a great place to rest for tomorrow. 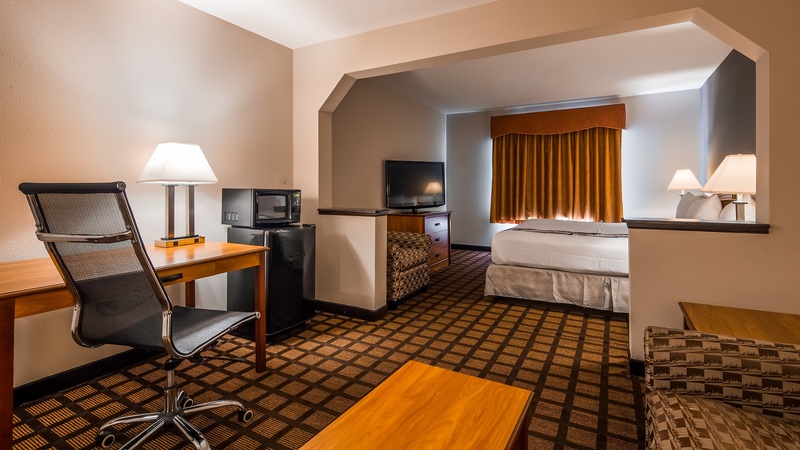 Make the most of your trip to Chicago by choosing the friendly comfort of the Best Western Inn and Suites Midway. Whether you are travelling for pleasure, a family event or business our Standard Double rooms are a great place to rest and relax between museum trips, family activities or focused business meetings. Watch a movie or your favorite show on our standard Flat Screen TV’s, or use the in room Free WiFi to post the days events on Social Media. You can use provided work desk to write out a postcard or catch up on e-mail or surf the web and schedule your next day’s activities, all from the comfort of your room. Everyone of our elegantly modern rooms comes equipped with lots of pillows and plush bedding to make your stay comfortable.